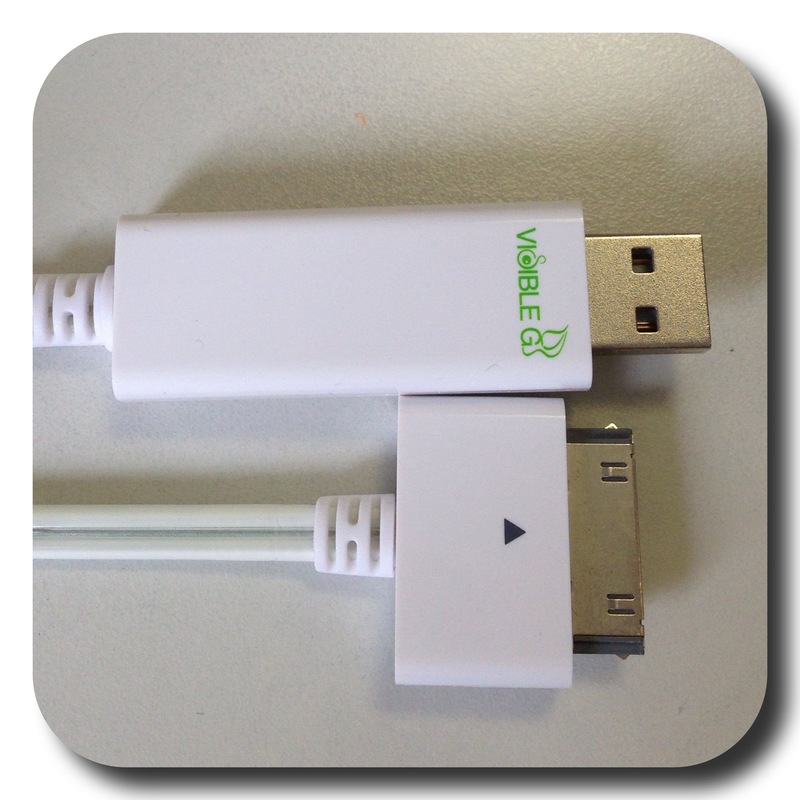 I discover the Visible Green USB-Dock Connector cables online. The concept is pretty cool. 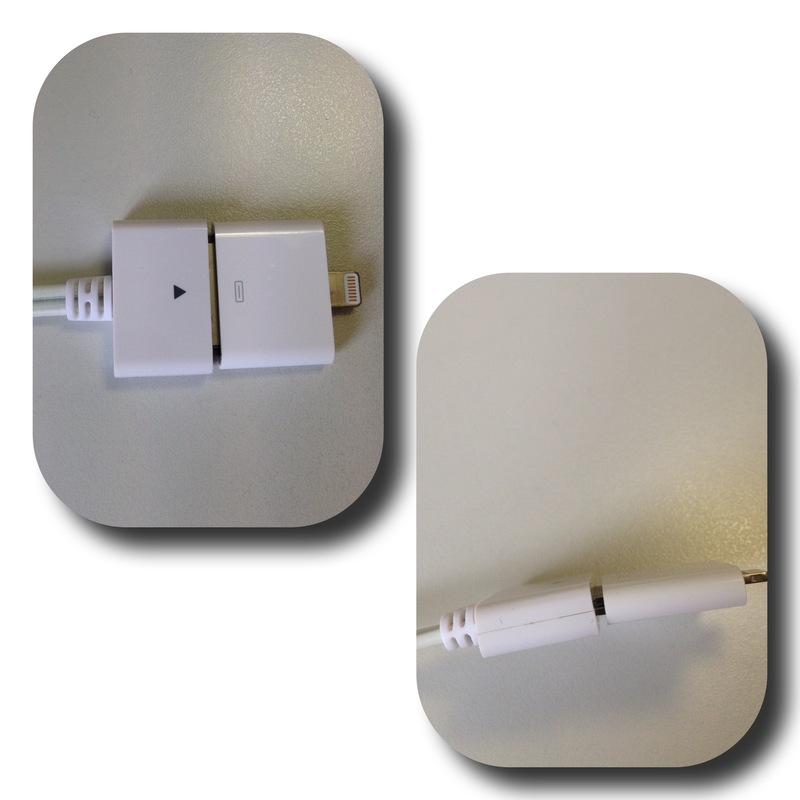 The cable uses electroluminescence to show the electrical current flowing through the cable to your iPhone/iPad. Basically the light goes faster, slower or turns off depending on the charging level of your battery level. The great thing is that it turns automatically the charging off when the iPhone/iPad is fully charged, sparing your portable battery or cutting down your electricity consumption … Pretty clever !
. It’s a cool accessory, the blinking had a 100% wow effect on my colleagues.
. It will look cool next to you bed if you don’t have a night light.
. The price is 19,90$ (19$ for the regular Apple cable).
. 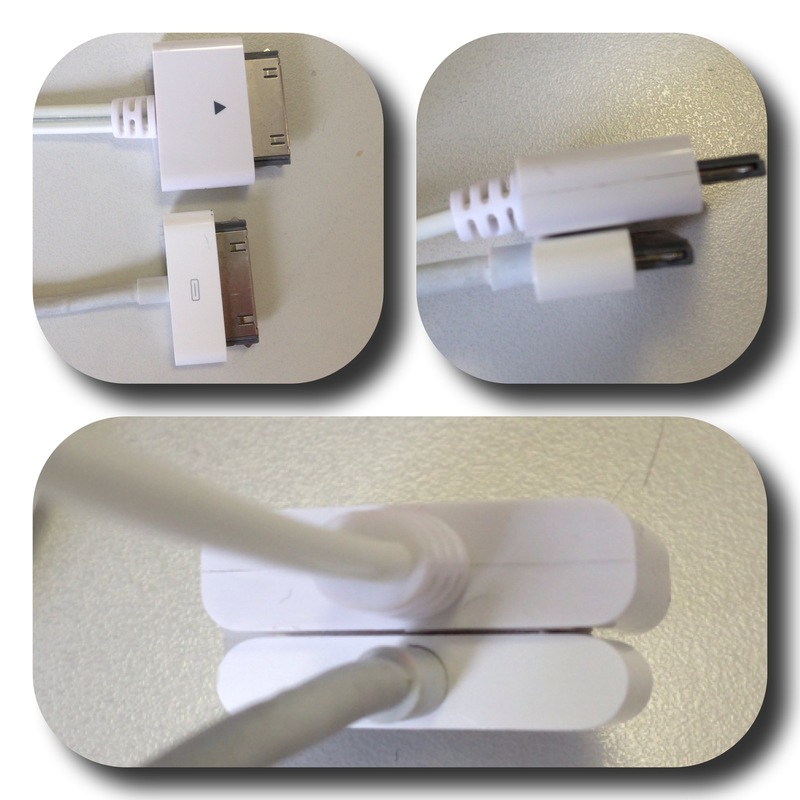 The cable is thicker and less flexible than the original cable provided by Apple (the led are integrated in the middle of the cable).
. The 30-pins is way thicker than the original one and won’t stick in your iPad or iPhone depending on the case you use to protect your device.
. The 30-pins to micro-USB doesn’t fit properly on the cable. How do you find these super cool gadgets ? this email and any attachments (“communication”) is confidential and is for the intended addressee(s) only. if you are not the intended recipient, you are not authorised to disseminate, copy, retain or rely on this communication or any part of it. if you have received this communication in error, please notify us immediately by return email and delete this communication. confidentiality is not waived or lost by reason of mistaken delivery of the communication to you. this communication is subject to copyright. finally, the recipient should check this communication for the presence of viruses. the company accepts no liability for any damage caused by any virus transmitted by the communication. Thanks for the heads-up about the thicker 30-pins. It sounds like a great idea, otherwise. I think it’s a cool idea too. I bet we’ll find them more and more in the future. Anything Apple is going to soak your wallet! Fun accessory though. 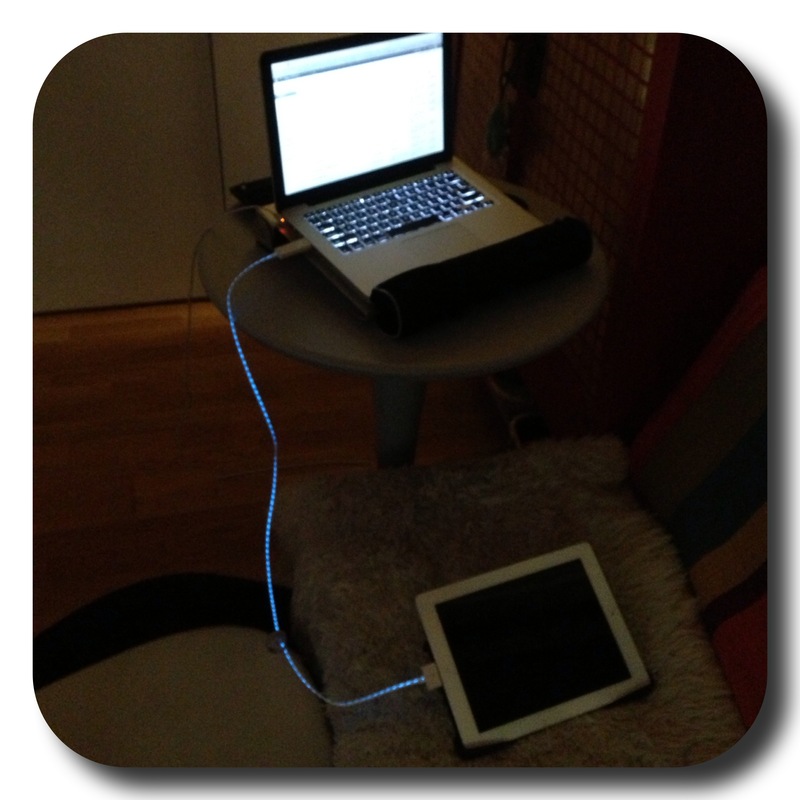 My iPad lasts days without a charge. Wow, you are certainly getting your use out of the devices! Yes, it’s a great tool for work and leisure ! Love it and couldn’t do without. Thank you for signing up to follow my blog! I hope that you will enjoy my posts! My pleasure! I know I will! very cool. love the illuminating factor. Me too and the fact that it stops charging when done. Agreed. Do you own one? Yes and it stays at the office. I have this exact USB cable. I have had no problems with this, plus the light that it produces at night makes a good night light lol. Right, looks spooky. But I travel a lot and it’s to stiff to carry around. It’s good for home.